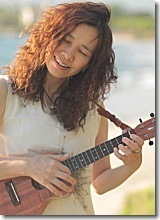 My name is Christine Yano from the University of Hawaii. 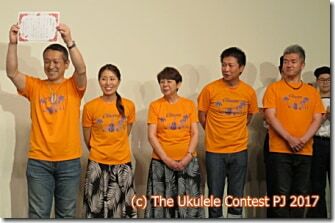 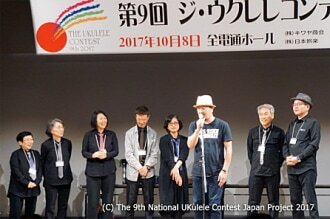 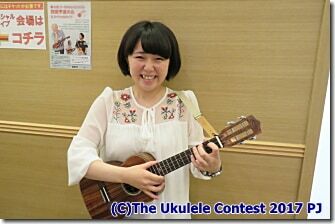 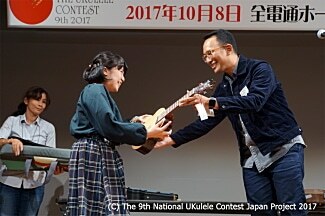 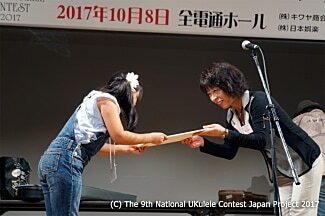 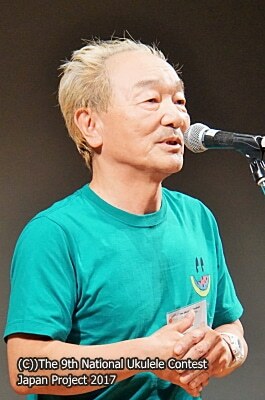 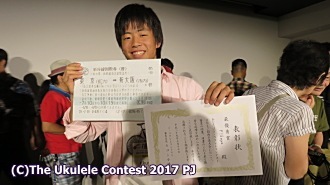 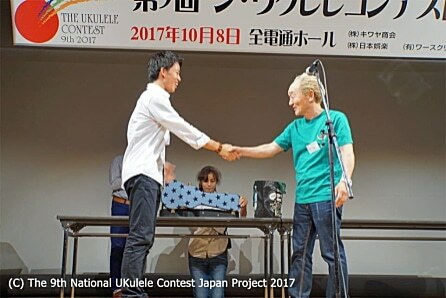 And I am so pleased to be here today at this Nineth Ukulele Contest. 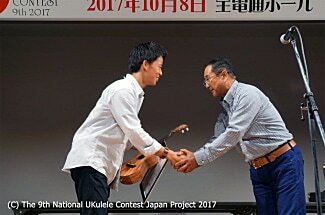 I was very moved by what I witnessed today. 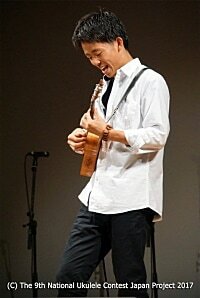 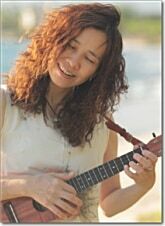 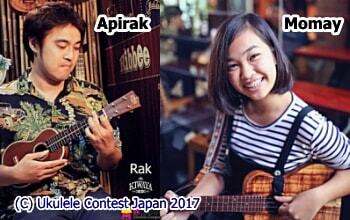 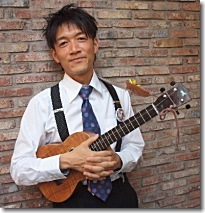 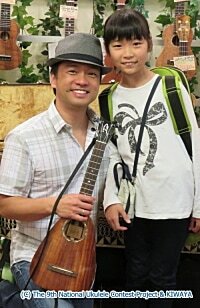 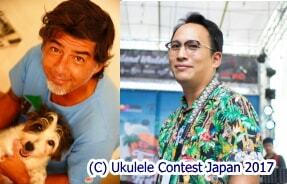 From this experience, I have learned that the ukulele is not just a musical instrument. 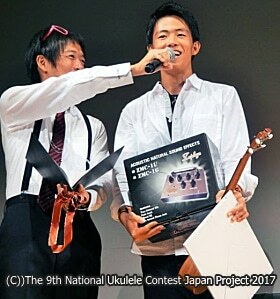 Rather, it is a means to people's hopes and dreams. 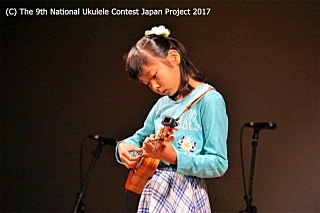 This is why we could see such a variety of performances, from young to old, from really virtuosic playing to simpler expressions. 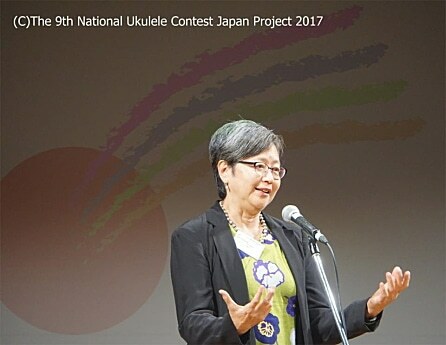 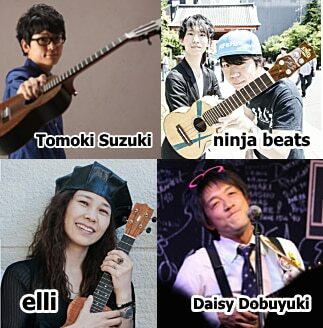 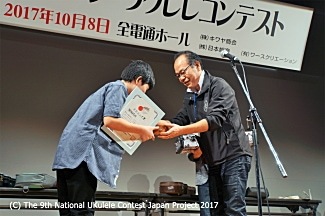 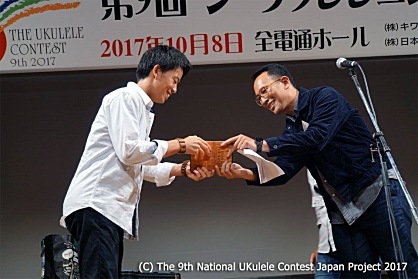 Because the ukulele is an instrument that can be played by a wide range of people with a wide range of talent and ability, it becomes the perfect means for everyone to express　just what they want. 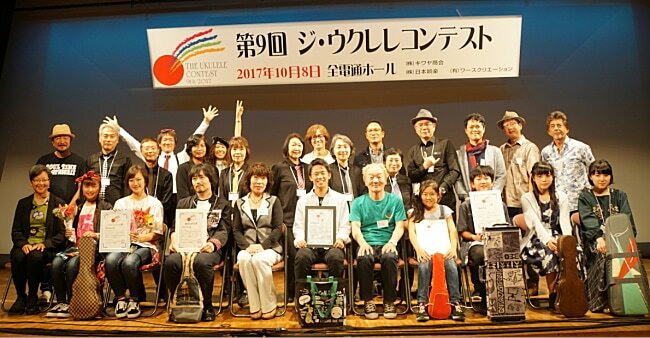 It is accessible to all. 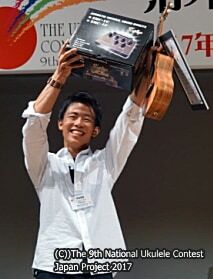 And it belongs to everybody. 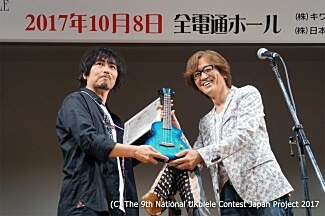 So today's event was not really a contest. 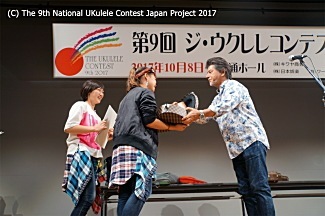 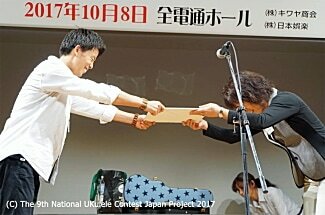 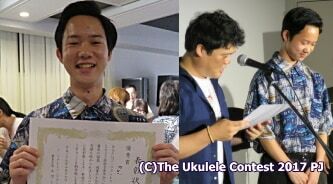 Rather, it was a celebration of people's hopes and dreams, sounded through the ukulele. 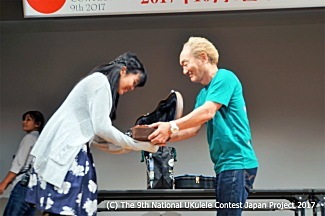 Thus, everyone here today, on stage and off stage, is a true winner.